Before Rosa Parks, there was Claudette Colvin, a teenager in Montgomery, Alabama angry about the systematic mistreatment of blacks. One day, she just plain refused to give her up seat on a bus to a white passenger. She was arrested and hauled bodily off the bus, all the while screaming, “It’s my constitutional right!” Her actions sparked the flame that eventually led to Rosa Parks’ more famous bus stand-off and to the Montgomery, Alabama Bus Boycott that rocketed Martin Luther King Jr. to a national civil rights platform. Have you ever been so sure you’re right that you would be willing to be hurt – maybe even die – for an idea? Claudette Colvin was only 15 years old when she took a stand. You see, in Montgomery, Alabama in 1955, if you were black and riding a bus, there was an expectation. That expectation was that you would never sit in any of the first 10 seats on the bus and that – if those 10 seats were already full of white people and another white person got on – well, you and all the other black people sitting in the row they wanted would have to give up your seats. That was how they did things under Jim Crow in the South, when they tried to keep black people separated from white people and give black people less at every turn. So, there was Claudette Colvin – 15 years old – sure it was wrong. So, one day, a white lady got on her bus and Claudette didn’t give up her seat. It was a big deal. She was hauled off the bus, arrested, mistreated, called names, threatened – even some of the people in her own community were against her. A while later, Rosa Parks did the same thing and got herself in trouble in order to spark the Bus Boycott that led to the Civil Rights Movement and changed a lot of things in the South. But there was Claudette Colvin again. In order to end that bus boycott, a lawyer filed a class-action lawsuit on behalf of people who had been arrested on Montgomery buses. Although she knew people might want to hurt – or even kill – her for it, Claudette Colvin put herself on the line again for what was right and agreed to testify. Would you have the courage to do what she did? 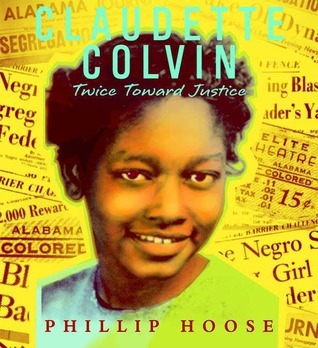 Phillip Hoose does an excellent job of exploring Claudette Colvin’s story and placing in context for readers who may have little experience with bald racism and segregationist policies. Colvin is not a saintly or perfect subject. She had some rough times and awkward elements that had nothing to do with the Civil Rights Movement, but he doesn’t pull punches and handles the material very well. Devon Davenport was a good kid – a quiet, self-motivated scholar-athlete who was so good at soccer, words like “The Olympics” were being used about her. Until she put her newborn baby in a garbage bag and put it in the trash behind her apartment building. Now, she has been arrested and even she can hardly figure out how it all happened. Stories about “dumpster babies” get a strong reaction. As one character asks in the book, “What kind of a monster would do this?” Amy Efaw works to supply an answer in this riveting story of a nice young woman who is lying on the couch, feeling ill and out of sorts as her mother describes the scene playing out behind their apartment building. A man on an early morning walk with his dog discovered a baby in a trash bag, crying in the alley. Devon is nearly as shocked as her mother and the visiting police officers when they discover that the mother of this baby is Devon. She is a straight-A student, a hard worker, a crackerjack on the soccer field, a reliable babysitter and yet … How did it come to this? We come to understand a great deal about Devon – some things only she knew; some things even she didn’t seem to know. The story is certainly interesting and well-written, but I can’t truly say I feel any more understanding of the “dumpster baby” situation. How could someone not know they are pregnant? And while they may not want the baby, how could someone – a decent, nice, good person like the character here – not feel the impulse to protect a life that grew inside them? 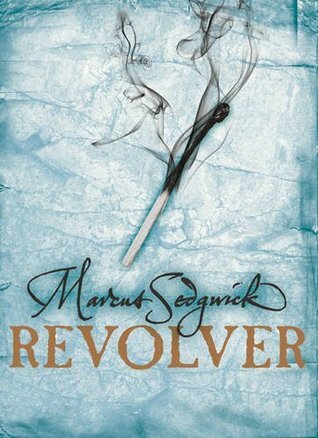 This book was recommended to me by a library patron who was helping a friend find “really sad stories.” She said it was both worth reading and “super sad.” She was certainly correct on both counts. Mary lives in a village totally controlled by the Sisterhood, a religious order, and trapped by the thousands of hungry undead who live in the forest surrounding the community. Yet, she longs for the ocean she learned of in stories from her mother during her childhood and can’t give up the notion that there may be something out there for her beyond the Forest of Hands and Teeth. Even as her world is coming apart, Mary cannot resist the pull of the forbidden. Her father is already gone, bitten and pulled away into the vast sea of the moaning, hungry, living dead Unconsecrated who surround her village. Her mother, distraught with grief and love, soon follows, leaving Mary with the stories she has told about a mythical ocean and world beyond the village. Mary’s brother, in anger, abandons her, leaving her with no choice but to join the Sisterhood that controls all life in the village. There, Mary finds herself assigned to help with the care of a childhood friend who has been badly injured. Even as she knows he is promised to another, she falls deeply and desperately in love. Then she too is chosen for marriage – by her beloved’s brother and finds herself cornered by tradition and expectations and other people’s desires. Just as she is feeling most trapped, the Unconsecrated break through the fences protecting the village and she escapes with her betrothed, her beloved, her best friend, and her brother as everything they have ever known disintegrates behind them. 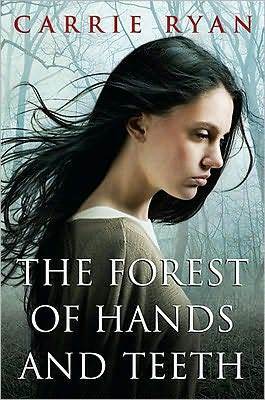 Driven by her dreams and hopes about the ocean, Mary drives herself and her companions through an ancient protected path to face what is to come from The Forest of Hands and Teeth. This is only the first book in the Forest of Hands and Teeth series. Also look for The Dead-Tossed Waves (2010) and The Dark and Hollow Places (2011).